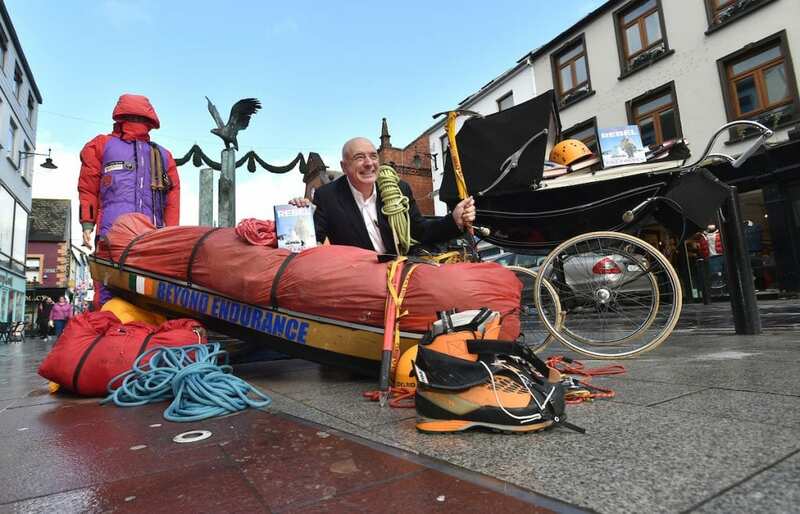 Ireland’s greatest living explorer Corkman Pat Falvey at the Market Cross, Killarney at the weekend when announced that he has retired from extreme adventuring following a lifetime of conquering the world’s highest mountains and most remote regions. 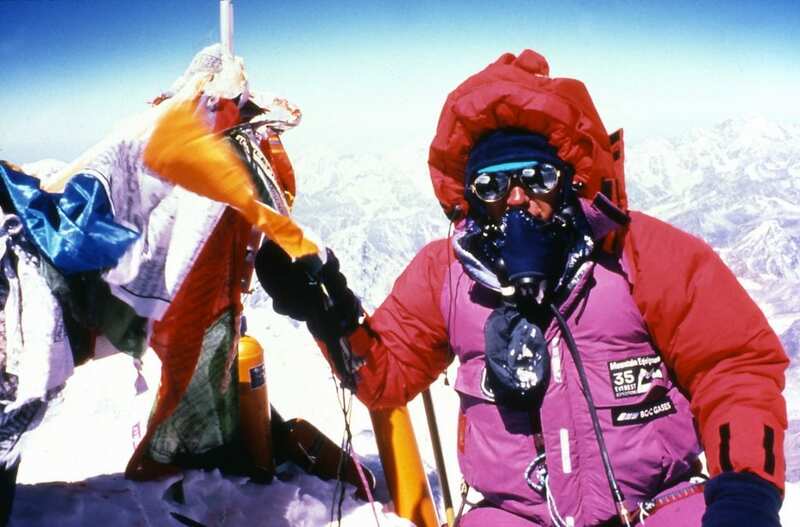 Falvey was the first Mountaineer in the world to conquer the highest mountains on seven continents, not once but twice, including Mount Everest North and South. 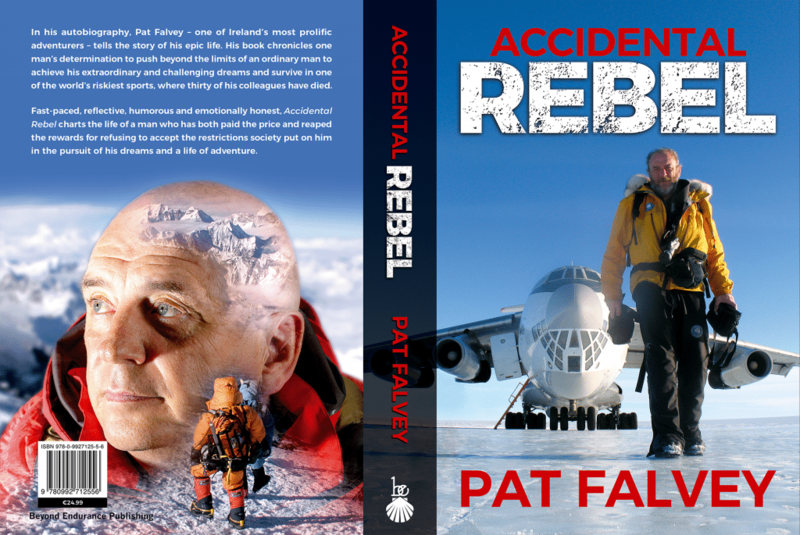 Pictures: Accidental Rebel, Front and back book cover.